The roof is an important investment within the total home package. The roof and guttering must be kept in good condition to ensure your property remains weatherproof. Whether it is for new installations, repairs or ongoing maintenance, Laser Plumbing Whenuapai can do the job for you. We provide complete solutions for maintenance or installation of roofs and gutters, serving clients in our local West Auckland community as well as across the greater Auckland area. What can we do for you? * Long run roofing - commercial, domestic & all maintenance work. With specialised roofers we have a great industry reputation. We find rook leaks and fix them! * Spouting, guttering, down piping and flashing work * Butynol membrane new & repairs * Asbestos roof removal & re-roofing * Programmed spouting & down pipe roof cleaning - Our existing clients love this service! A regular programmed roof clean at an agreed rate where we can also assess the roof condition and provide a written report plus digital photos and repair or maintenance options. It is important to have working clear gutters that channel water off your roof. If these aren’t maintained they can develop leaks and blockages which can cause serious water damage. 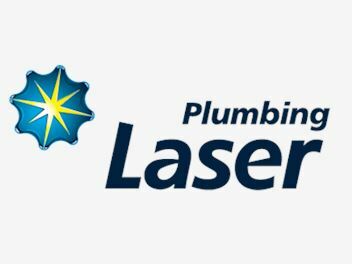 Laser Plumbing Whenuapai can repair damage and help maintain your roof condition to prevent destructive leaks by regular maintenance checks. We can ensure your home remains weatherproof by setting up a preventative maintenance schedule to clean out your gutters on a regular basis. For all your roofing needs, please contact Laser Plumbing Whenuapai for 'Totally Dependable' service. We are also members of the NZ Master Plumbers and stand behind any work we provide. We are also members of the NZ Roofing Association and provide warranties for domestic and commercial roofing materials and workmanship.